It’s taken me a year and half but I finally did it – the infamous Thethi hike. This is one of the things that makes it into guide books about Albania. And it’s in my backyard. But shamefully I’d never done it until this weekend. I’ve been sitting here in Shkoder lazily on my computer as group after group of PCVs come through town to stay with my on their way to do this hike. Yet here I stayed. 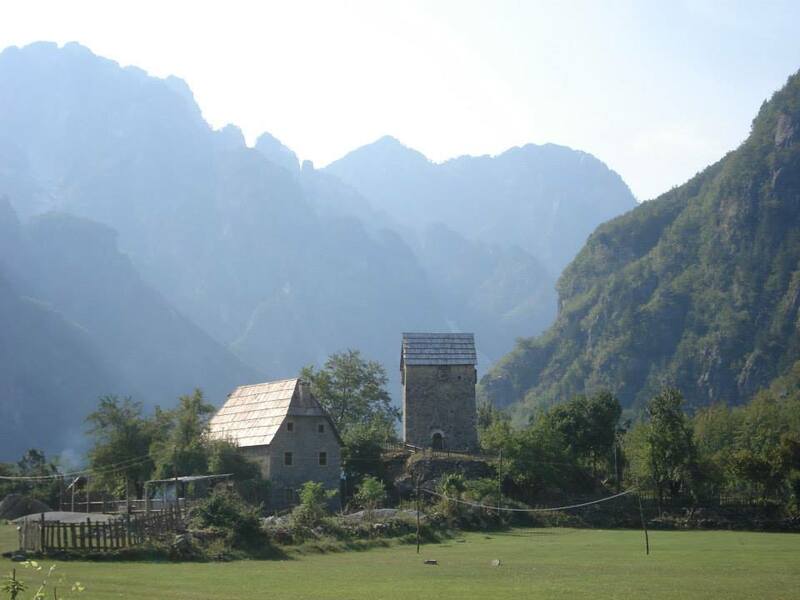 The guilt finally piled up high enough to convince me to embark upon this monster of an adventure through the Accursed Mountains of northern Albania. No joke, that’s literally what they are called. Small indicator as to what was in store for me? Absolutely. 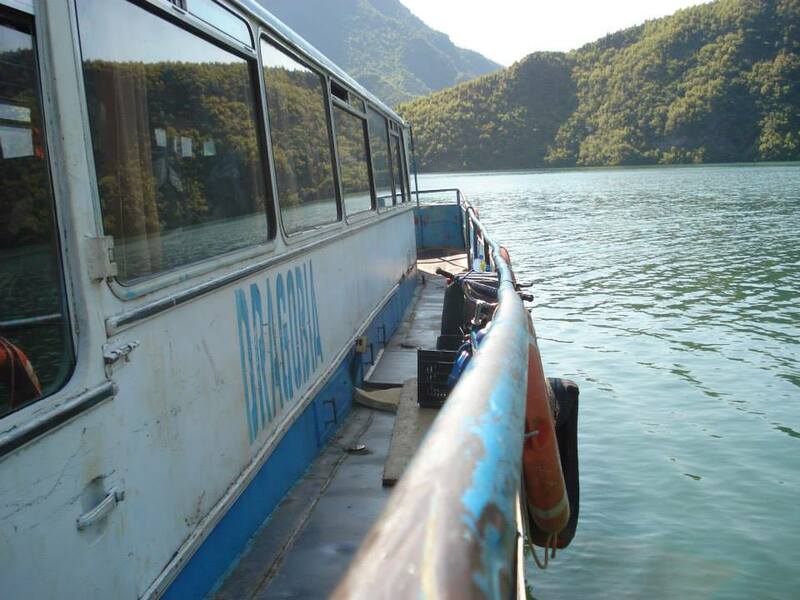 It all started at 5:30am as I wandered the streets of Shkoder alone and in the dark before the sun had even risen to find a furgon to the ferry across Lake Koman. After a 2 hr terrifying furgon ride up and down a few small mountains, through potholes bigger than my kitchen table and whipping around corners on a road thinner than my doorway, I finally made it. All in one piece. 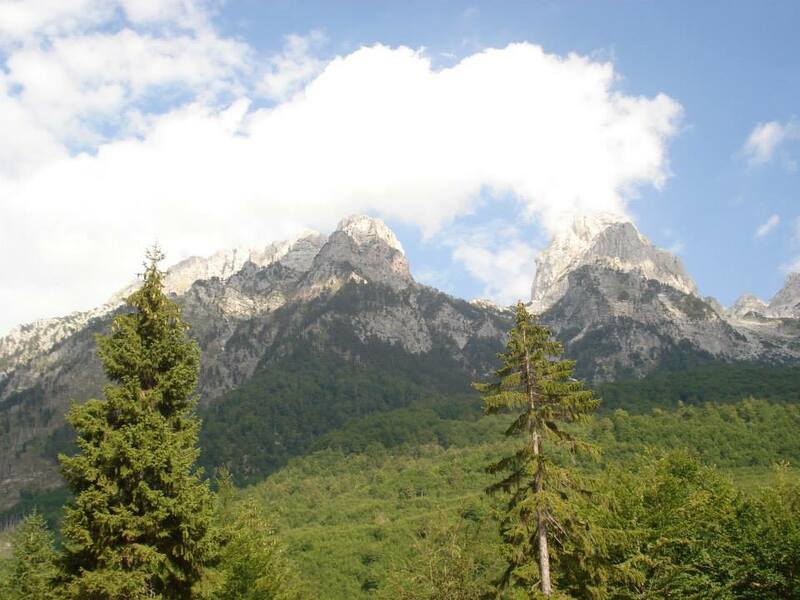 That is until I arrived in Valbona, which upped the ante and then some. Words cannot possibly explain how beautiful this place is. Honestly. 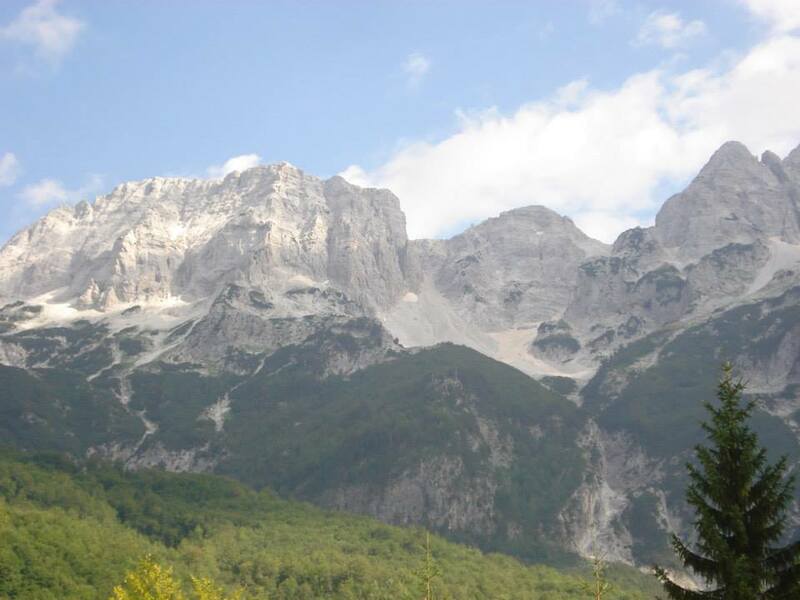 They are called the Albanian Alps for a reason. Immense mountains, taller than any I’ve seen and with sharper inclines than you thought possible. They literally go straight up. If you try to look at the top you might fall over backwards. Seriously. So my little group of PCVs decided to camp along the way and carry all of our food and gear for the entire trip. And halfway through we immediately regretted that decision. The hike in and of itself is only 6 hrs (3 hrs up the mountain and 3 hrs down) with quaint and adorable villages on both sides. It would’ve been so trivial to eat and stay there, but being the poor and miserly PCVs that we are, we decided to tough it out. 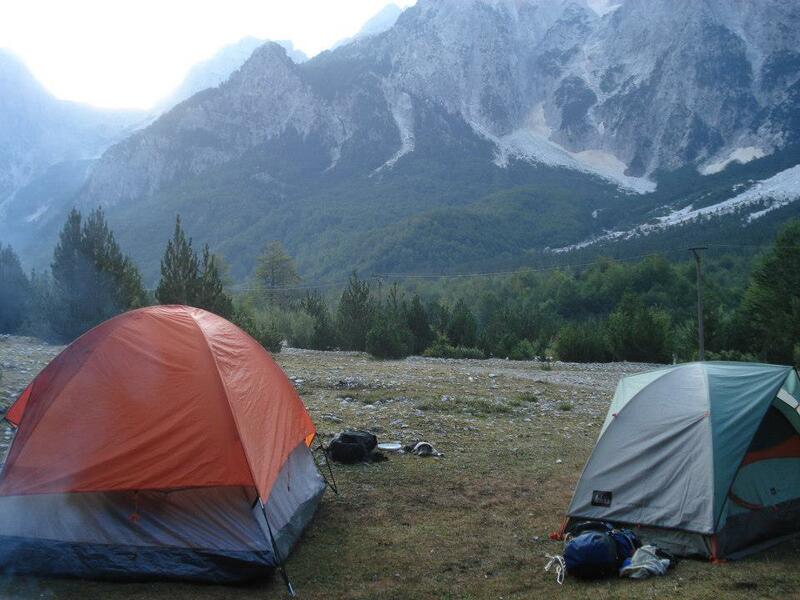 The first night we camped in the valley of Valbona and were kicked off 2 different people’s “land”. 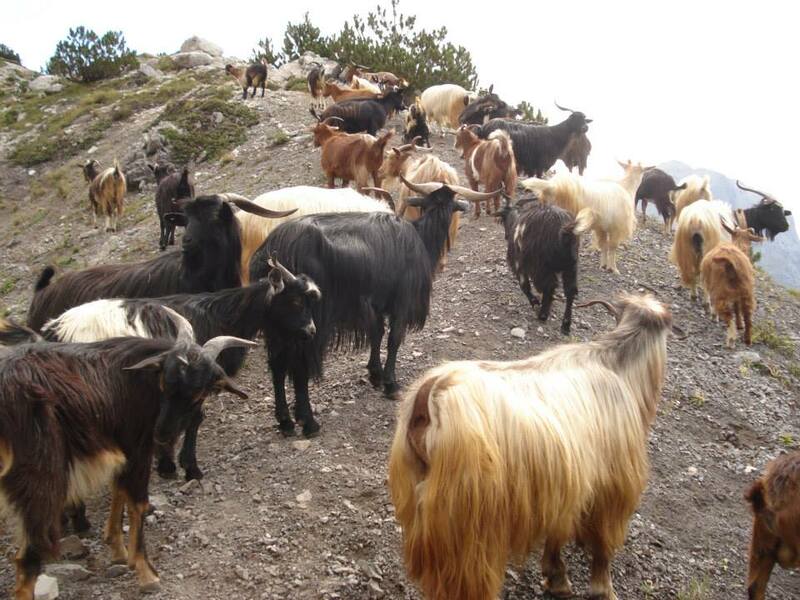 How they can possibly own parts of an Albanian National Park and ask for money for camping is beyond me. So we snuck down the trail and camped behind some trees where he couldn’t see us. Always persistent, we PCVs are. There is something so therapeutic about being out in nature without a cellphone, cooking over a fire, not showering for days, surviving on PBJ sandwiches. Reminds me of home…in Shkoder…during the winter. Could’ve gotten this experience in my own backyard! But then again I wouldn’t have had the same views, so it was worth it. The next day we woke up early and on we went, lugging 15 lbs on our backs up a mountain that was not intended for human beings but rather goats and sheep and donkeys. I thought it would never end, but when it did it was all worth it to sit upon that summit peak and gaze down at the valley. Throughout the whole hike I just kept thinking about how most of the north of Albania is still untouched and unexplored land. There are glaciers up here that have only been discovered a few decades ago. And there are ruins of villages and houses everywhere you look, from lord knows what century. I kept imagining myself stumbling upon the next Machu Picchu. It could happen you know. There’s lots out there yet to be discovered. With Lord of the Rings music beating in my head, I looked around myself and finally appreciated the incredibly beauty of this country. If New Zealand hadn’t been chosen to film those movies, I hope that Albania would’ve been the runner up. 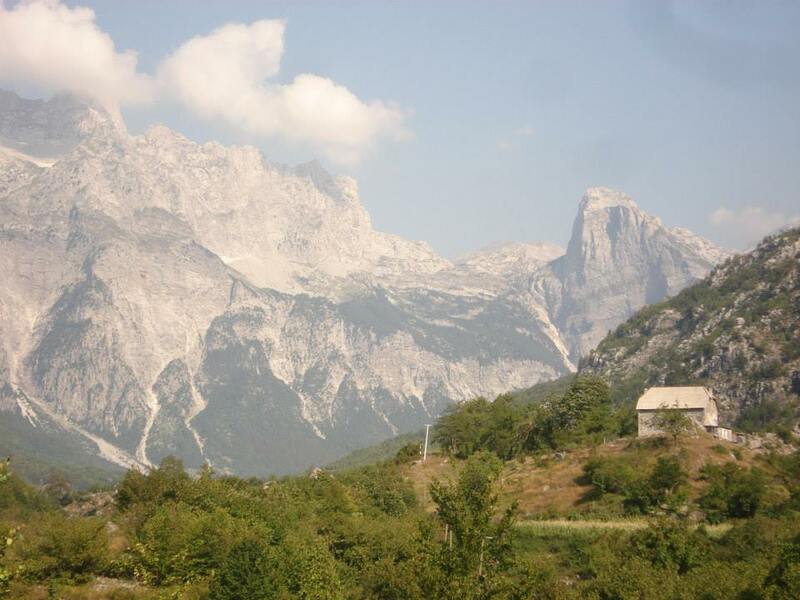 Oh and the mountains in Valbona could pass for a real like White Wall. So if you all know anyone on the film crew for Game of Thrones, let ’em know. Okay, I think I’ve sufficiently geek-ed out enough on that front. Soafter hiking up and over the biggest peaks I’ve ever seen in my life, we finally made it to the long-awaited valley of Thethi. 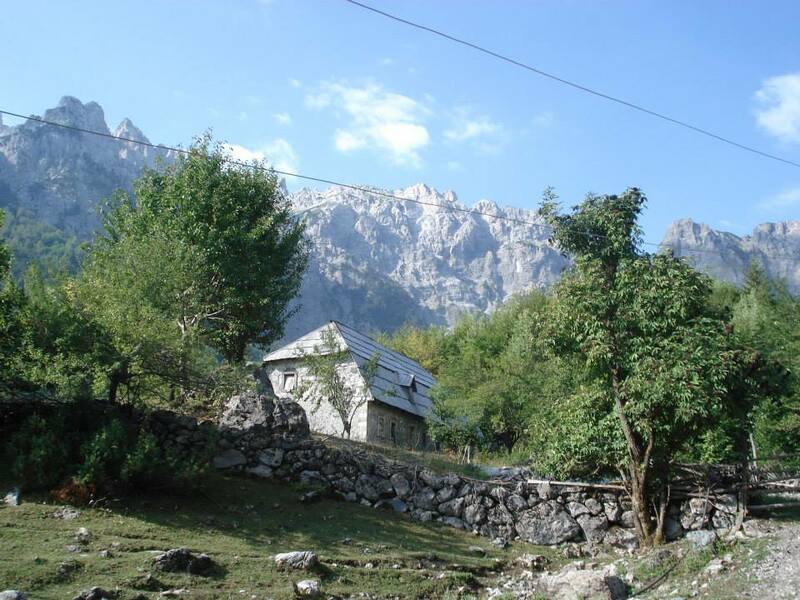 This village has a long history in Albania. Right in the center of town you can see one of the oldest “kulla”s left in the country. These are towers that were built periodically across the north. They were used by families in blood feuds that were trying to escape being killed. So they would run at night from kulla to kulla, where they could hide out and rest until nightfall. And our stay in Thethi was made all the better by this little hotel owner who insisted on taking us in for free. He made us the most amazing feast of my life when we arrived in town and let us camp on his lawn for free. I think it was the fact that 6 Albanian-speaking Americans were in his town of maybe 100 people max. He was pretty excited to have tourists he could talk to. That and I was able (or forced?) to translate everything he needed to his other guests. Oh the benefits of learning the native language. It gets you places…and more importantly it gets you free things! Wow! Thanks for sharing the timeless beauty of places in Albania I’ve never seen. Beautiful.